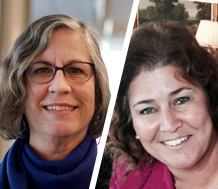 WestEd’s Cynthia Greenleaf and Sharon Sáez will present at the 2018 Social Emotional Learning (SEL) Conference June 28-29, Nashville, TN. The annual SEL Conference is designed to empower educators and youth-serving professionals with the principles and practices of SEL, and provide the tools necessary to transform schools, communities, and the lives of youth. The Reading Apprenticeship framework recognizes the crucial role of students’ affect in learning—how they approach challenges and persevere. Social-Emotional Learning supports built into the Reading Apprenticeship Framework provide teachers with tools on how literacy instruction and support can focus on student effort and persistence. Greenleaf and Sáez’s session will demonstrate how learning is socially mediated, using Reading Apprenticeship as an example. They will discuss how feeling part of a Reading Apprenticeship classroom community can have significant psychological benefits and can help make students more likely to engage in productive academic behaviors. *Conference registration is currently closed. Add your name to the waiting list!